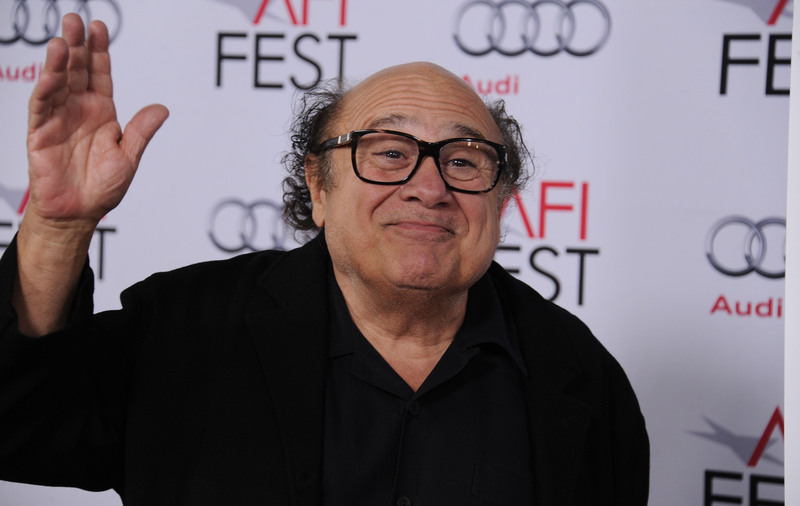 It’s Always Sunny In Philadelphia’s Danny Devito had the perfect reaction to hearing that a cardboard version of himself had been someone’s prom date. 17-year-old Allison Closs didn’t need a real man to make her happy at her prom, she just needed a cardboard one. But that didn’t stop DeVito repaying the favour. 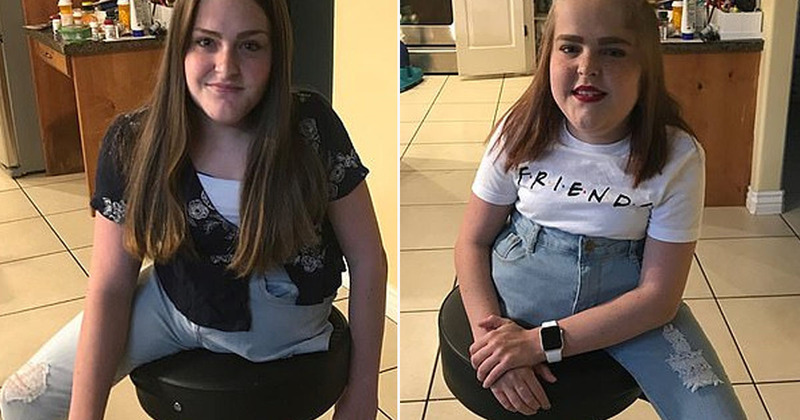 Early in May 2018, Closs turned up at her high school prom arm in arm with a life-size cardboard cut out of Danny DeVito, the Matilda and It’s Always Sunny star. I say ‘arm in arm’, it was actually more a ‘walking the dog’ action, as Closs pulled her 2D date along behind her on a lead which attached to the scooter Cardboard Danny was mounted on. In a post on her YouTube channel, Allison explained her decision to take a cardboard cutout of Danny DeVito to prom. 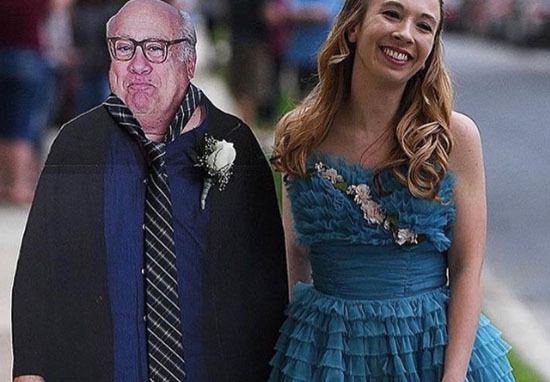 It seemed like all the good guys were taken, and all the ones that weren’t taken I wasn’t really interested in, until one day I had this idea… what if I just brought a cardboard cutout of Danny DeVito to prom? Danny was the life of the party, everybody loved him. Don’t worry, DeVito was dressed for the occasion, he wore a tie and even had a flower on his lapel, matching Allison’s corsage. 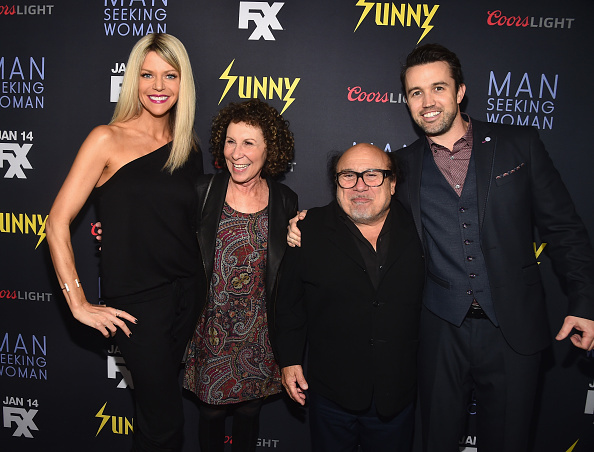 Cardboard Danny DeVito of course received plenty of attention, so much so that the photographs made it all the way back to the It’s Always Sunny in Philadelphia set. 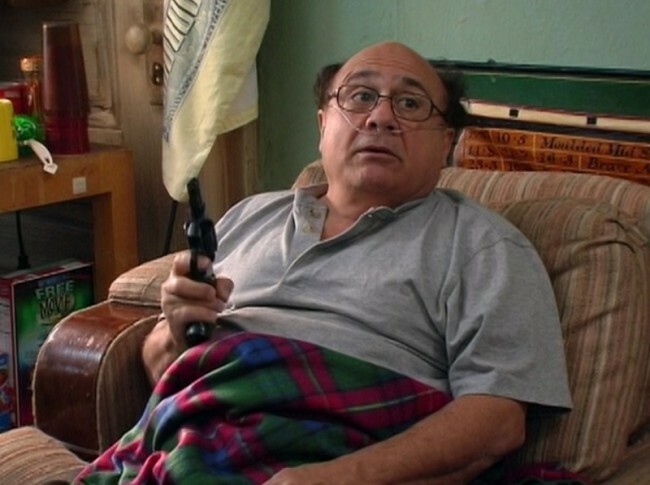 On the show DeVito plays Frank Reynolds, the rich, but frankly kind of disgusting, legal father of Dennis and Sweet Dee. Frank is known on the show for hanging out under a bridge, sharing both a flat and a pull-out bed with another member of the gang, Charlie, who is probably his biological son, and soaking an entire ham in rum – known as ‘Rum Ham’. While DeVito’s response to Allison Closs’s photos took place in the show’s main hub Paddy’s Pub, thankfully Frank’s questionable habits were sidelined in the photos for some more appropriate behaviour. 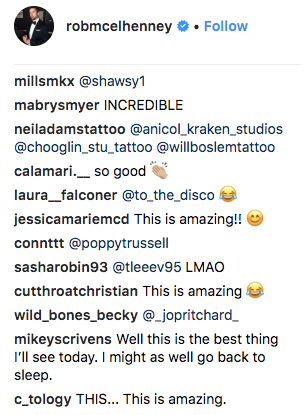 DeVito’s response was posted on Instagram by fellow cast member Rob McElhenney, who plays Mac on the show. Yes, somehow DeVito managed to get a life-size cut out of Allison at her prom, which he brought to the show’s set. DeVito posed with cardboard Allison in front of Paddy’s bar. Fans of the show were overjoyed with this reaction, sharing their love for DeVito and Allison on Rob McElhenney’s post and on Twitter. Even if DeVito and Closs never get to meet in real life, their cardboard cut-outs have kept each other company during some unforgettable moments. Way to go guys!